A look at when the New Moon will be in your sign in the year ahead. Be sure to harness the energies! February 8 2016 is your lucky New Moon for making wishes. Make a note of your top ten intentions for the year ahead and read them out to the Universe at sunset. It’s an especially good year to wish to have a really enjoyable working life, and for better health. March 9 2016 is your lucky New Moon for making wishes. Think about what it is you would love to happen and make a list of your top ten. Leave it under your pillow before you go to bed. Then when you wake up, read the list out to the Universe, then wait and see! April 7 2016 is your lucky New Moon. Your best bet to tap into it is to make your wishes around midday. Write down your resolutions for the coming year and read them out loud. You can burn the list or keep it somewhere safe to reread later. May 6 2016 is your lucky New Moon. At sunset, decorate a piece of paper with some coloured pens or pencils. Then write a list of your top ten desires for the coming year for yourself and your loved ones. Keep it somewhere you can refer back to it. June 5 2016 is your lucky New Moon for making wishes. It’s actually an especially good one if you have dreams related to love or money. If you happen to up past midnight, around 00.35am will really harness the energies! 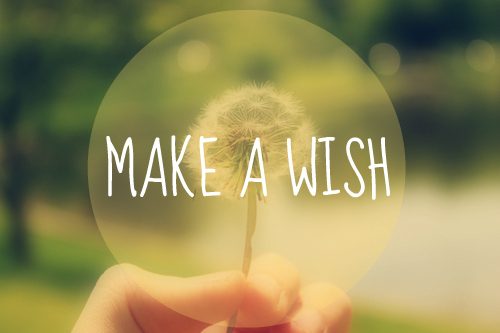 Otherwise, make your wishes as soon as you wake up. July 4, 2016 is your lucky New Moon for making wishes. It’s great time to get really clear on what you want for your year ahead. Mercury in the New Moon mix will help you, so write down your aims during your lunchtime and read them out loud to the Universe. August 2 2016 is your lucky New Moon for making wishes. Ask for whatever you intend for yourself in the coming 12 months. However do also include a wish to “train my brain to focus on the positive!” The ability to do that is one of the main gifts of 2016. September 1 2016 is your lucky New Moon for making wishes. It’s also an eclipse which means your wishes are going to be super-charged. Make the most of this by getting really clear about what you want and writing your goals down as soon after 10am as you can. October 30, 2016 is your lucky New Moon for making wishes. Except that as a Capricorn, you’re better off doing a 12-month plan. Have a proper think about what you want for yourself personally and professionally that evening. Write it down. Do a spreadsheet if it helps you get clear! November 29, 2016 is your lucky New Moon for making wishes. If your working life needs help, this is the time for you to lay down your intentions for the coming year. Ditto if you have a relationship which needs a cosmic boost. Focus, and then write down your dreams. January 10 2016 is your lucky New Moon for making wishes. This is a potentially life-changing New Moon eclipse. Be honest with yourself if your life goals have changed. Let them go so something else can come in. Set your intentions for the year ahead by writing them down on waking.